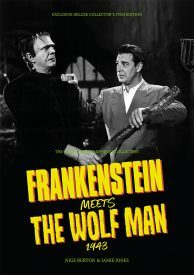 The Frankenstein Meets the Wolf Man Ultimate Guide Hardback is the premium edition of this title! Universal’s first monster rally was a spectacle like nothing the world had ever seen. 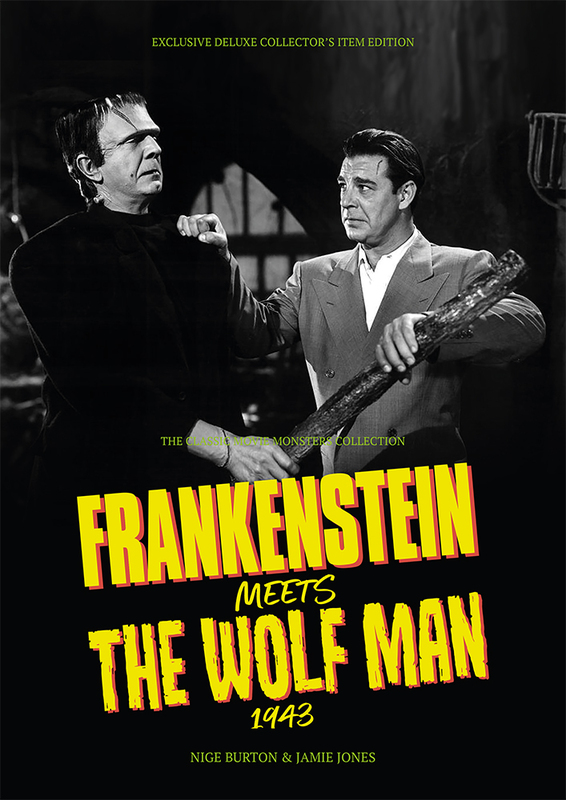 The Frankenstein Monster and the Wolf Man facing off against one another – it couldn’t fail to be anything but a thrilling white-knuckle rollercoaster of a motion picture, taking the monster universe in a new direction and creating a wealth of unforgettable movie moments. Our lavishly designed, full colour hardcover Ultimate Guide to Frankenstein Meets the Wolf Man is the perfect tribute to this classic monster mash-up, and is packed with the sense of adventure that made Universal’s 1943 trip to Vasaria such an event. It’s crammed with biographies and information on the making of the movie, including behind-the-scenes details on the way the movie took shape, the people who made it happen, and its lasting impact on the Frankenstein and Wolf Man franchises. Beautiful design, a huge amount of insightful research, and the compelling writing you’ve come to expect from Classic Monsters – it’s all here in our Frankenstein Meets the Wolf Man hardback guide. 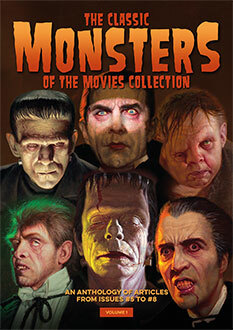 Don’t miss this deluxe companion to one of classic horror cinema’s best-loved adventures.